Altitude sickness, known as soroche in Peru, can occur at heights of 8,000 feet (2,500m) above sea level. 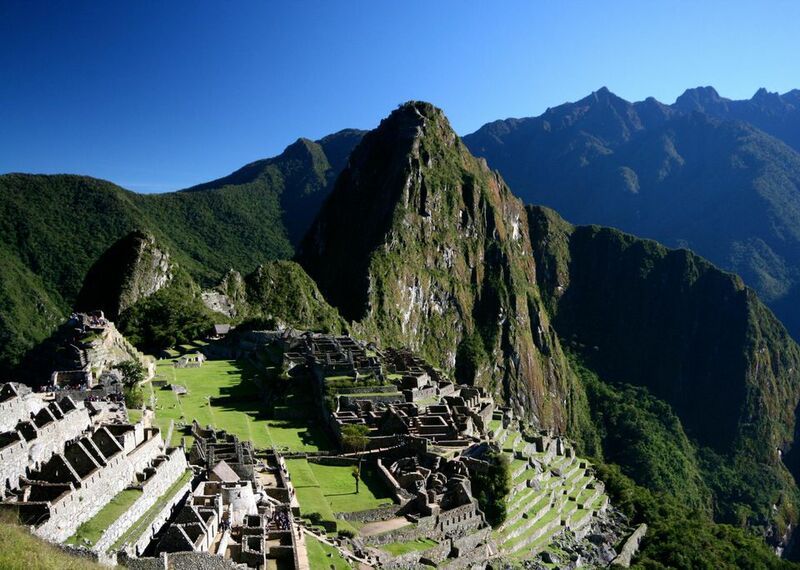 Due to Peru’s varied geography, you are likely to reach this height—and beyond—at some point during your stay, especially if you plan on visiting the famous Machu Picchu ruins. Breathlessness is typical at these altitudes, but it’s hard to predict if, and to what extent, altitude sickness will affect you as an individual. Before you leave on the trip, make sure to talk to your doctor or consult a travel clinic physician to see if there are any medications you may need. Although it's hard to determine exactly how at-risk you are to altitude sickness in Peru, you'll want to take precaution in any case. Altitude sickness can strike even the fittest, healthiest traveler. As soon as you pass the 8,000-foot mark, you are at risk for acute mountain sickness (AMS), the mildest and most common form of the condition. More severe forms also exist: high altitude pulmonary edema (HAPE) and high altitude cerebral edema (HACE). Both can occur near 8,000 feet but are more common at heights of about 12,000 feet (3,600m) and higher. Sometimes it's hard to determine if the symptoms you're experiencing are because of altitude sickness. Headaches and nausea, for example, are common symptoms but could also be due to dehydration or more serious illnesses like the flu or food poisoning. People may even describe the symptoms as being similar to a really bad hangover. The two more severe forms of altitude sickness, HAPE and HACE, show similar albeit heightened symptoms, sometimes with additional symptoms such as a severe cough, blue lips, or irrational behavior. In all cases, the best treatment is descent. If heading to a lower altitude isn’t an option, stay where you are and rest for a day or two. Acetazolamide (Diamox) tablets can also help. Whatever you do, don’t go any higher. A slow ascent is always the best option. Whenever possible, give your body time to adjust to the altitude. Proper acclimatization is the best defense against altitude sickness. Take it easy for the first 24 hours at altitude—don’t overexert yourself and don’t go any higher. This is particularly important if you’re arriving by plane. Avoid alcohol, tobacco, and sleeping pills. Keep yourself hydrated by drinking plenty of water. Eat high-carbohydrate foods (such as pasta, potatoes, and bread). Drink coca tea or chew coca leaves upon arrival at altitude and during your stay. While largely unproven scientifically, the locals swear by it. Be aware that coca leaves, while legal in Peru, can make a drug test prove positive for cocaine. Medication is also an option. Acetazolamide is the most common type of pill for altitude sickness. Other options exist, but they are no substitute for proper acclimatization. Always consult your doctor before taking altitude sickness medication. Altitude sickness won’t be an issue in cities located along the coast (like Lima) and in the lowland jungle or Amazon River regions of Peru. In the highlands, however, you can soon find yourself at heights of 8,000 feet (2,500m) and above—the point at which altitude sickness can occur. The ancient Machu Picchu civilization is one of Peru's most famous sites, but it's also one of the highest, so visitors are especially at risk of altitude sickness here.